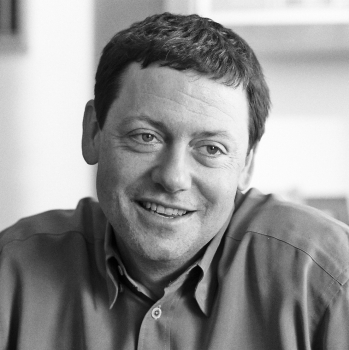 Fred Wilson is giving the keynote at the Geoloco conference in San Francisco. His fund, Union Square Ventures, is an investor in Twitter and Foursquare. He is speaking about the hottest topics in geo, local, and hyper local. When Fred was a kid, he would sit shotgun with a map and be the navigator – position of power, everyone else sat in the back seat. That experience started his fascination with location and obsession with maps. Now the maps have gone away, and it’s smartphones and gps systems. The data gets exchanged back and forth between mobile device and cloud. Maps are now two way. Action is in the cloud. Fred is not interested in utilities. He’s interested in apps that share data among millions of people. Map as a source of data that is pushed back into the cloud is the big deal. In London, Fred’s daughter needed a SIM card. Google Maps recommended O2 Associates – didn’t sound right. Google Street View showed that this was a bad match. Cloud saved the day, providing additional value. With Flickr, anybody can contribute images to the cloud. So when you look at a map, you can see artistic images in addition to street view. It’s the interaction between the map, your location, and the data that is the winning combination. Fred mashed up his Foursquare check-ins with Google Maps to show his trip to Europe. Data interacting with services in the cloud to create new representations of data. Not just maps, also itineraries. Adding a lat and long not just to a check-in, but also to news. Outside.in is doing this – adding geo information to news stories. You can now see news stories from around your current location. You can geotag a lot of things – not just photos and checkins, but also news and other content. This is promising for creating highly relevant info for people wherever they are. Fred is interested in seeing geotags apply to archived news stories. What happened to this location in history. 14% of all mobile users in US access maps on their device in April, 34M people in US. If worldwide, you can estimate 70-80M people accessing maps on their phone every month. – Maps pumping data into cloud. 80M people using these services – massive amounts of data being generated. Two weeks ago @harryh tweeted that they had 1M checkins in a day. Foursquare has 800K active users. If 80M people around the world were also publishing checkin data – massive upside. 2.12M accounts. Red line is sign up. 20K new users a day, and that’s just one service. Socialgreat is aggregating this data from multiple services. At an aggregate level, this data is producing large amounts of information. When you reveal your location, it’s important that you have control. You can decide who gets access. Facebook is paving the way, and entrepreneurs can learn from those examples. Large social services like FB and Twitter and Google and Yahoo, etc, may not be capable of building private location based services, because their social graphs are tuned for public activity. When people start thinking about revealing their data, they want to start day one with a service that was built to be private, controllable. Big companies have challenge of scale – how can they undo the permissions that they have already granted. If Facebook allows someone to checkin, they probably don’t want all 1000 friends to see what they are doing. Emerging companies may be better positioned due to this. Companies that do the best job with managing data and privacy will be the most successful. This is a less complicated problem. Knowing a customer’s location is a powerful, valuable piece of data. This is the holy grail of marketing. Revenue models around hyperlocal are pretty straightforward. Doesn’t mean it’s going to be easy, but the path is clear.